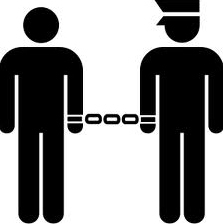 General term for a class of minor offenses, such as idleness without visible means of support, loitering, and wandering around from place to place without any lawful purpose. In legal procedure, a discrepancy between what is charged or alleged and what is proved or offered as proof. In zoning law, an exemption from the application of a zoning ordinance or regulation permitting a use that varies from that otherwise permitted. The exception is granted by the appropriate authority in special circumstances to protect against undue hardship wrought by strict enforcement. A neighborhood, a neighboring place; synonym for a place of trial. Venue refers to the possible or proper place for trial of a suit, among several places where jurisdiction could be established. Venue essentially involves the right of the party sued to have the action heard in a particular judicial district, for reasons of convenience. In a criminal trial where publicity surrounding the crime would virtually preclude fair trial, the court will direct a change of venue, or removal of the proceedings to a different district or county. The opinion rendered by a jury, or a judge where there is no jury, on a question of fact. A verdict differs from a judgment in that a verdict is not a judicial determination, but rather a finding of fact that the trial court may accept or reject and utilize in formulating its judgment. Fixed, accrued or absolute; generally used to describe any right or title to something that is not dependent upon the occurrence or failure to occur of some specified future event.